Shaolin crutch has many categories, including Plum-blossom Crutch, Zhongjiao Crutch, Zhujie Crutch and etc. suitable for the practice by older people. 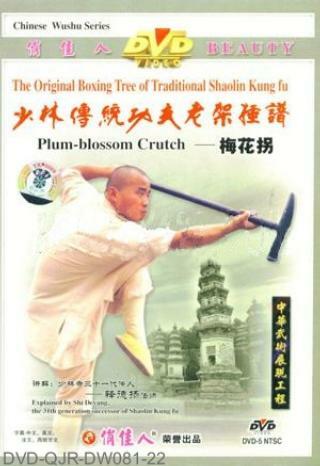 Shaolin Plum Blossom Crutch (Shaolin Meihua Guai ) features with techniques of hooking, hugging, sweeping, hanging, splitting and teasing. The drilling is full of changes and good for health fitness as well.